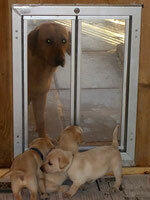 We offer sales and professional installation of many different brands and types of pet doors and automatic dog doors. 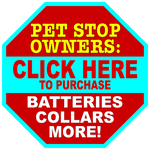 Through our online pet supplies store PetStuffWarehouse.com, we can now offer all the top brands of dog doors or cat doors. Custom installations (through windows or walls) are available. We are authorized Plexidor®, Patio Pacific® and Hale® dealers. Plexidor® Performance pet doors and automatic doors are American-made of aircraft grade aluminum, and include removable heavy steel security plates. We are the authorized Plexidor® dealers in central Alabama, exclusively recommended since 1997. Patio Pacific® pet doors feature award-winning Endura flaps, available with both single and dual flaps for added insulation. Door mount and Wall mount models are available. All are excellent quality, American made products. Hale® Pet Door has been building the world's finest pet doors since 1985. Made in the USA, Hale pet doors are true "access solutions". We have models for doors, walls, patio doors, French doors, screens and even windows! For unusual jobs, Hale can even build custom sized pet doors to suit your application. Petsafe® pet doors are an excellent value for a lightweight aluminum frame pet door, as well as more inexpensive plastic pet door options and pet doors just for screen doors. Ideal® pet doors offer a very good value, with both door mount and wall mount units available. 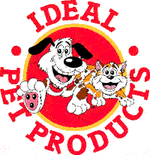 Ideal's Ruff Weather line is a very good insulator, too. These are great for use in sash type windows which are lower near floor level, or for use as cat doors your dog can't get to. Excellent quality aluminum frames and the availability of several colors, along with easy, non-damaging installation makes these a very popular choice. Wouldn't it be nice to know your pets can come in whenever you like, but other animals can't? We now offer automatic, electronically activated pet doors from both Petsafe SmartDoor® and Plexidor®. Each offers two size options and units for both door and wall installations. If you need a custom sized pet door to fit exactly into a specific space, we can order attractive and high-quality pet doors made to order. We can also replace an existing French door with a matching half light door then install your pet door into that, so you can replace the door with the original one if you move. Are you a do it yourselfer? Just want to purchase a pet door and install it yourself, or have a handyman do it for you instead. No problem! 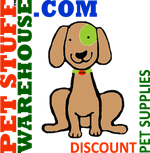 Just log onto the Pet Door section on our discount pet supplies website, PetStuffWarehouse.com. 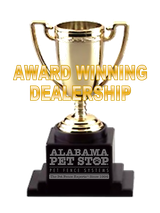 You'll find the most complete selection of high quality pet doors on the internet, and we'll have the door you choose shipped directly to your home.